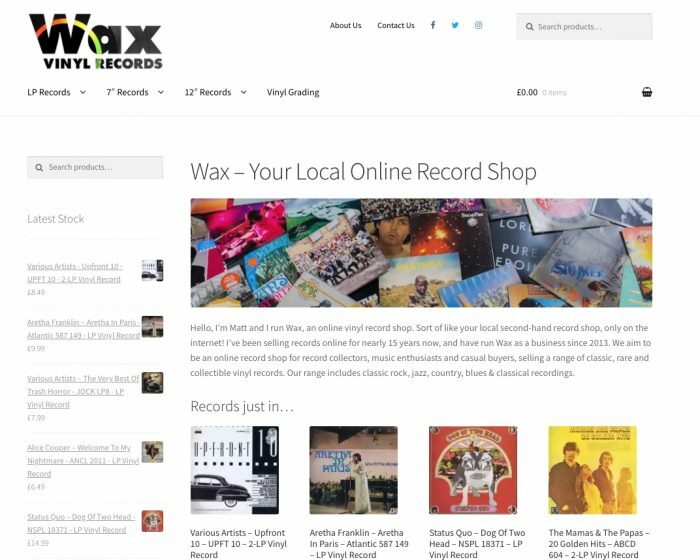 Wax Vinyl Records required an e-commerce solution to sell vinyl records on multiple platforms. The website was created using WooCommerce and features integration with PayPal and also allows payment via BitCoin. Inventory is synchronised with Ebay to allow sales administration and fulfilment through the WordPress interface.